Schweitzer Mountain in North Idaho is one of best ski resorts in the Northwest. 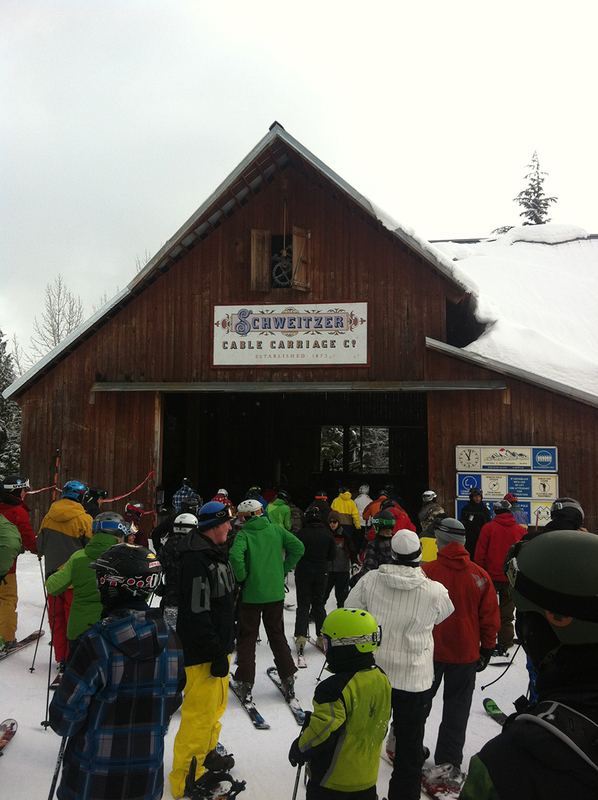 It has seven chairlifts, 2,900 skiable acres and 92 different ski trails. On top of that, the snow is great. 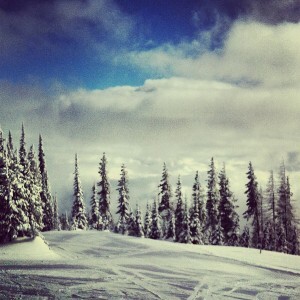 With an average snow fall of 300 feet a year, Schweitzer is a perfect ski and snowboard getaway for folks from Seattle. Schweitzer Mountain Resort is located just outside of Sandpoint, Idaho, about five and half hours east of Seattle. The resort is surrounded by a ski village with lodges, condominiums and rental houses that you can snag for a weekend or week-long ski and snowboard getaway. In addition, the ski village has several different restaurants and bars, and even some shopping. Even if you don’t ski or snowboard, it’s still a fun place to hang out for a few days. 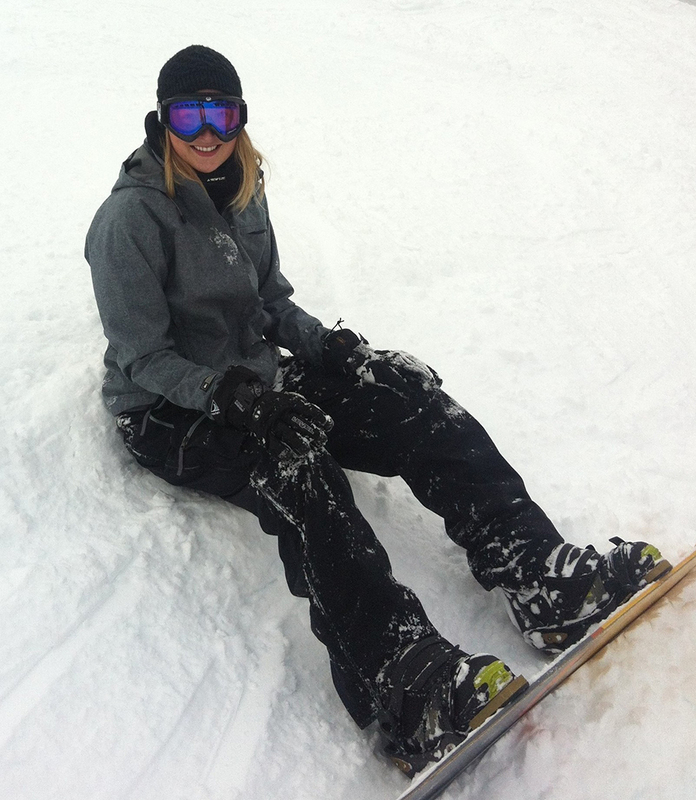 Schweitzer Mountain caters to all skill levels, but its extremely welcoming to beginners. Their Musical Carpet run is free, and a lift ticket for the beginner’s chair is $25. Lift tickets are also free for kids six years old and younger. The price jumps a little bit for everyone else, ranging from $50-$68. Though there are plenty of great runs for people starting out, there are also a lot of runs for people with more experience. 75% of the runs at Schweitzer Mountain are intermediate and advanced levels. Schweitzer Mountain does a nice job of keeping the runs groomed, while still keeping a good amount of powder on the ground. I always end up finding a favorite run or area of a mountain and keep doing the same runs over and over again. The same can be said about Schweitzer Mountain. The mountain is separated into two different bowls: Schweitzer Bowl and Outback Bowl. Though both have some fun trails, I really enjoy the Outback Bowl. It features the mountain’s longer run called Little Blue Ridge Run (it is two miles long!). The Outback Bowl is also home to a high-speed six person chair lift called Stella which leads up to many intermediate and advanced runs. The Snow Ghost chair lift is also in the Outback Bowl. That lift leads you to several black diamond runs (perfect for the more advanced and expert skiers and snowboarders). If you don’t know where to go or are looking for a specific type of run, there is no need to worry. Schweitzer Mountain has tons of employees stationed at the top of the ski lifts to help answer questions and direct you to your next run. They’re extremely welcoming and helpful. I was really impressed with how friendly everyone is at the mountain. Being on a mountain is one of my favorite things to do in the winter. I was so young when my parents put me on my first pair of skis that I don’t even remember learning how to use them. In middle school, I traded in my skis for a snowboard and I haven’t looked back. I love the sound my snowboard makes as it glides through fresh snow down a mountain. It is one of my favorite sounds in the world. You’ll find me happy on any mountain top with my snowboard, but Schweitzer Mountain makes it even better. Packed with tons of runs, awesome snow and a friendly staff, I definitely recommend this ski resort to anyone looking for a winter adventure. 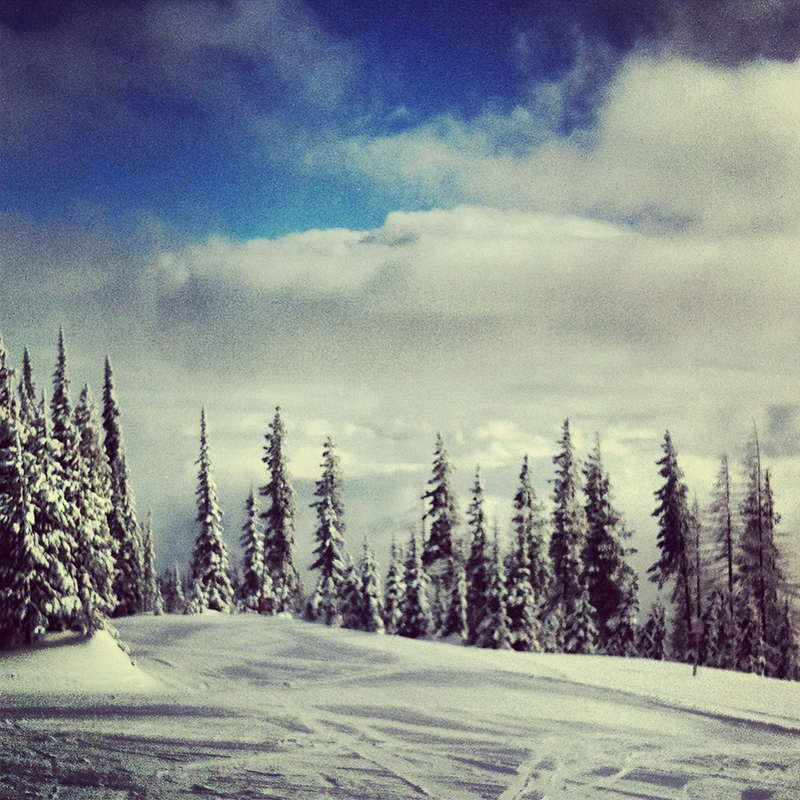 Have you ever gone skiing or snowboarding on Schweitzer Mountain? What are some of your favorite runs? We’d love to hear from you! Please leave a comment below or connect with us on Twitter, Facebook and Google+. 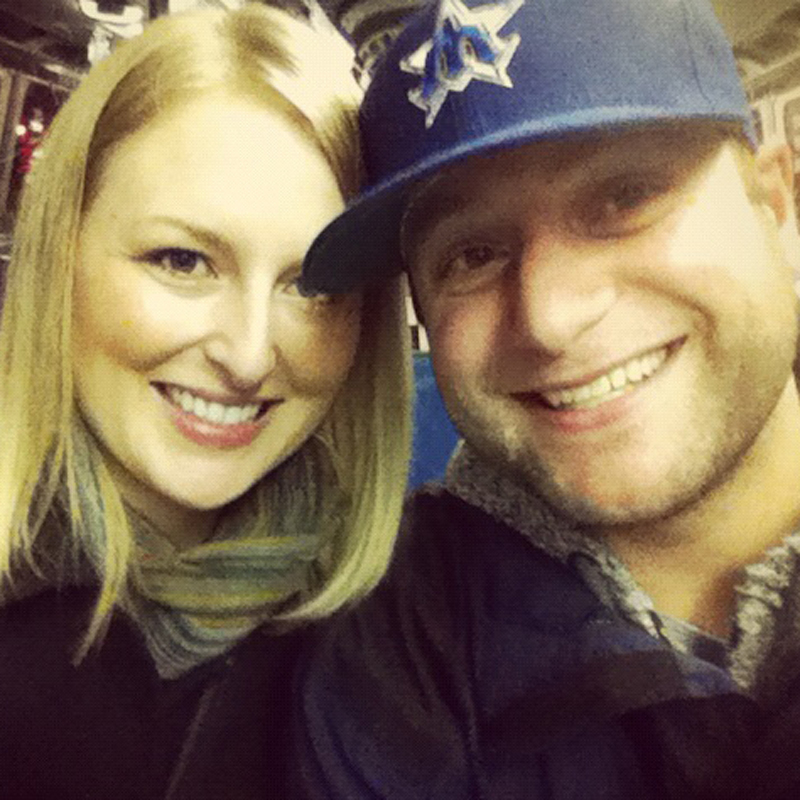 Don’t forget to also check out Seattle Bloggers for more fun things to do and see in all over the Northwest Region!